Which Is Better for Auto Loans – A Bank or Dealership Near Waggaman, LA? When it comes to auto loans from a conventional lender versus a dealership near Waggaman, LA, there are both positive and negative aspects to consider. The one thing you do not want to do is ignore the fact that dealer financing is not a horrible way to fund the purchase of a vehicle, as some consumers might believe. In reality, when people compare the two options, a lot of them realize that going through a trusted dealer has some unexpected and pleasant surprises. Just as you would with a conventional lender, it is essential to find the right dealership. For example, some have special financing for first-time buyers, college graduates, and people with less-than-perfect credit. If you fall into one of those categories, be careful where you shop for a vehicle. One dealership near Waggaman, LA, has more flexible loans, making it an ideal choice. One significant difference between a bank or credit union and a dealer is that a conventional lending institution has just one financial product. If you qualify, great. But if not, there is virtually nothing else the lender can offer. At a trusted dealership, the financial specialist works with several lenders and finance companies. Because of that, they can review many different auto loans to find the customer the one that best matches their needs. Especially for people with imperfect credit or who want to keep their monthly car payments as low as possible, this flexibility makes a difference. The other thing to consider is by working with different lenders, the dealership finance expert comes across auto loans with unique deals that a bank or credit union might not offer. There is also the convenience factor that goes hand-in-hand with auto loans from a dealership. If you select a dealer with an on-site finance department, you can shop for a vehicle and finance it on the same day. If you have little time available to hunt down a loan from a bank or credit union, it makes more sense to secure financing through the dealership. Also, while conventional lenders offer financing for automobiles, homes, businesses, special projects, and more, a reputable dealer only handles auto loans. As an expert, it understands this type of financing better than any other organization. Remember, a respected dealer is in the business to sell cars, trucks, and SUVs, so it will do whatever it can to help buyers find the right vehicle to drive home that day. 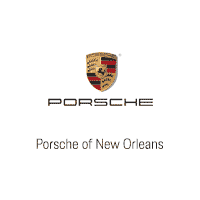 Visit us at Porsche of New Orleans in Metairie, not far from Waggaman, LA, and allow one of our financial experts to help you find the best loan.